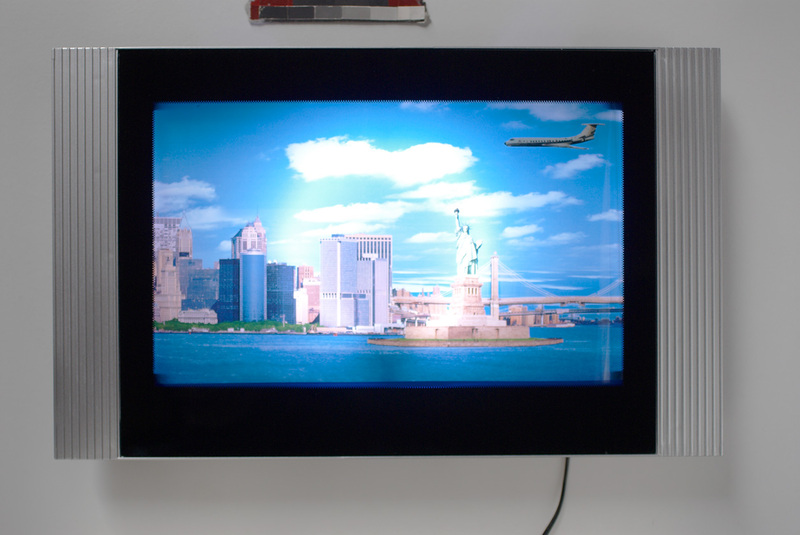 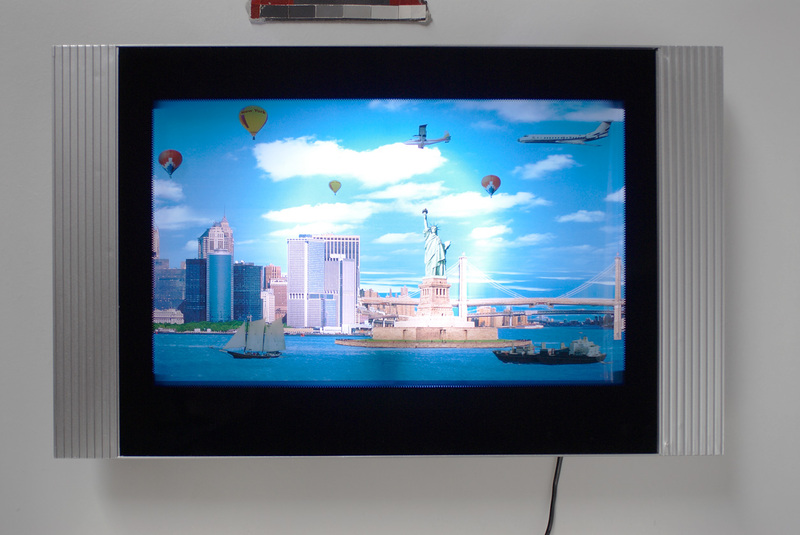 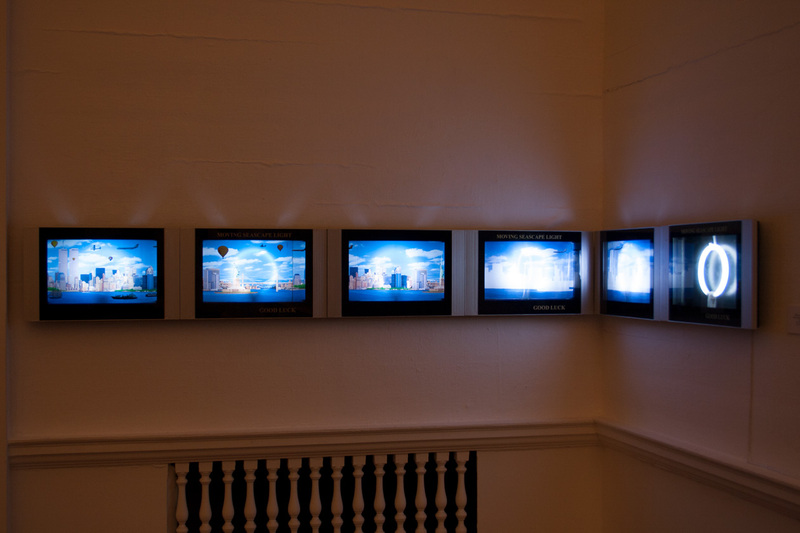 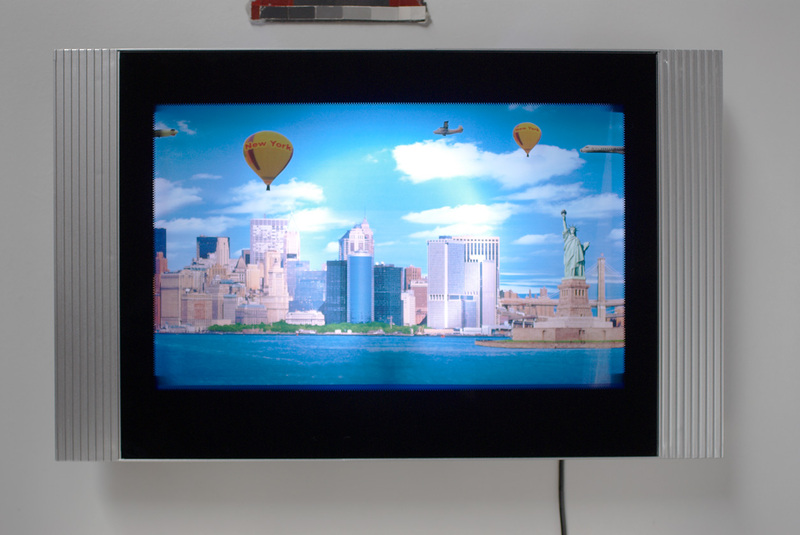 This piece consists of six light containing rotating imagery of the New York cityscape, including the Twin Towers. 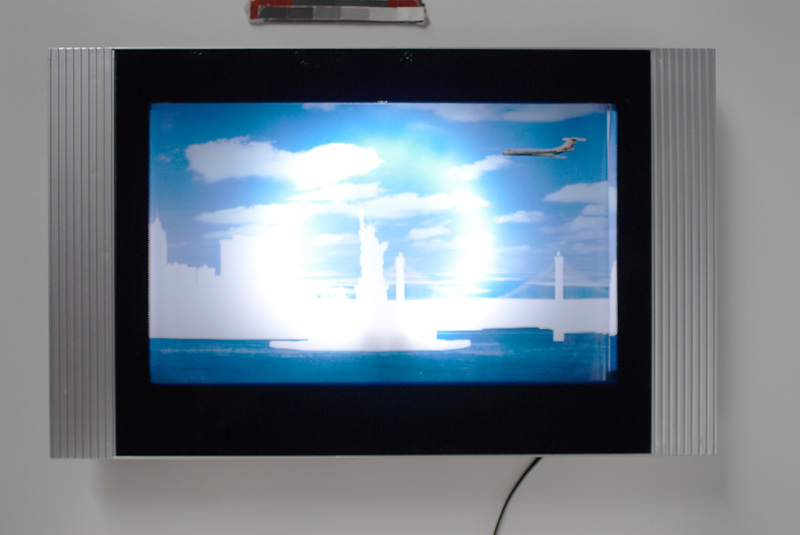 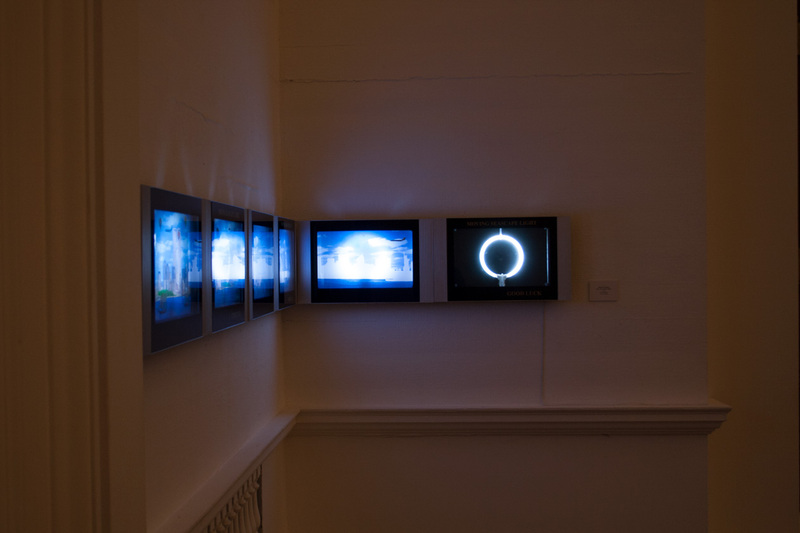 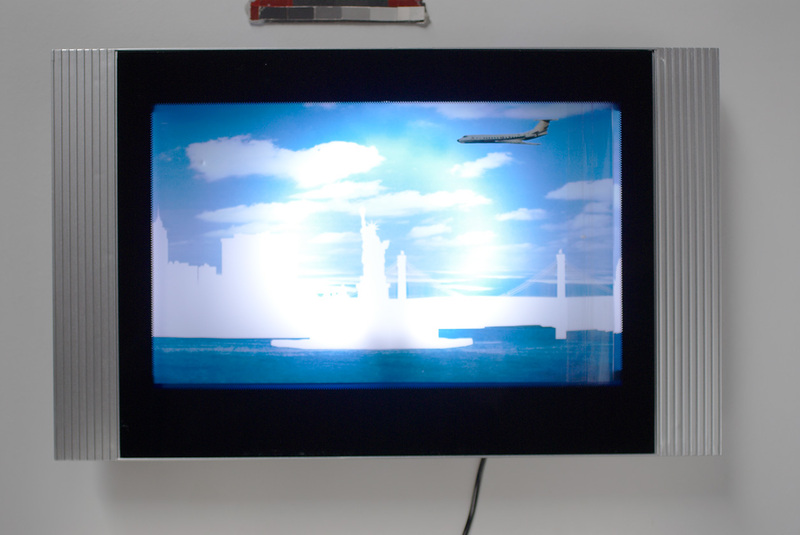 The images are deconstructed by eliminating elements in the images from each light box. 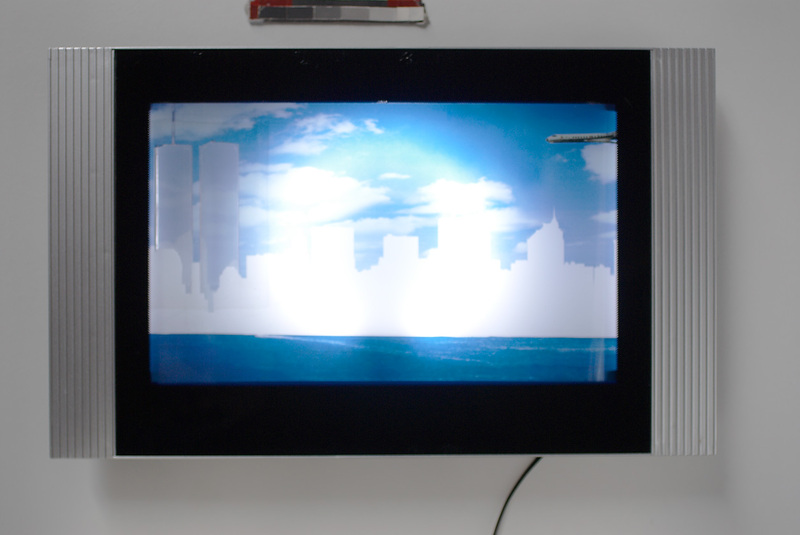 In the fifth light box, the Twin Towers are absent, all the buildings erased, and the back of the light box and light bulb can be seen through the holes where the Twin Towers were cut out. The only recognizable element is a Boeing flying over the Twin Towers. 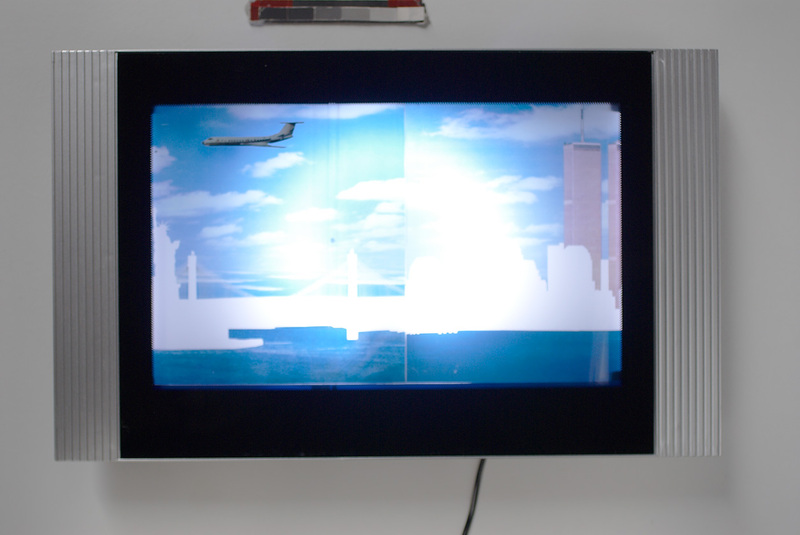 This suggests the tragedy of 9/11, enhanced by the fake plasma screen televisions linking the event to the news broadcasts of the event. 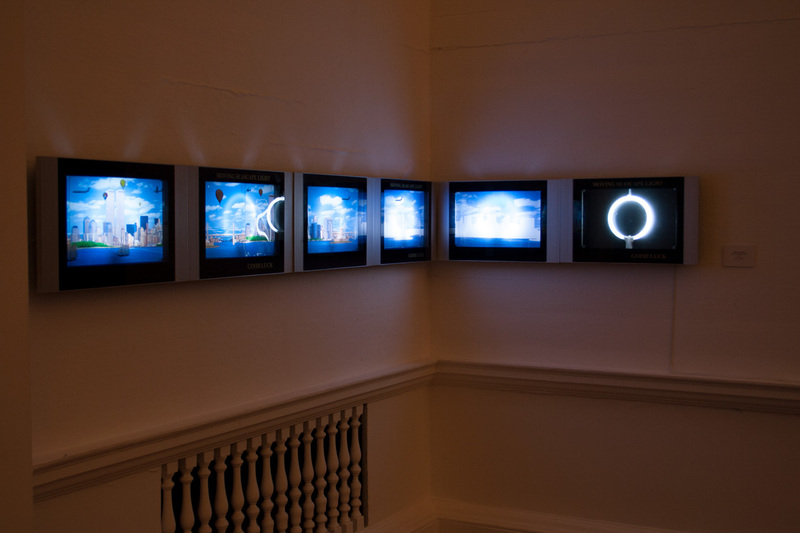 The work comments on news, the political status of North- America, as well as how this event is perceived in the rest of the world. 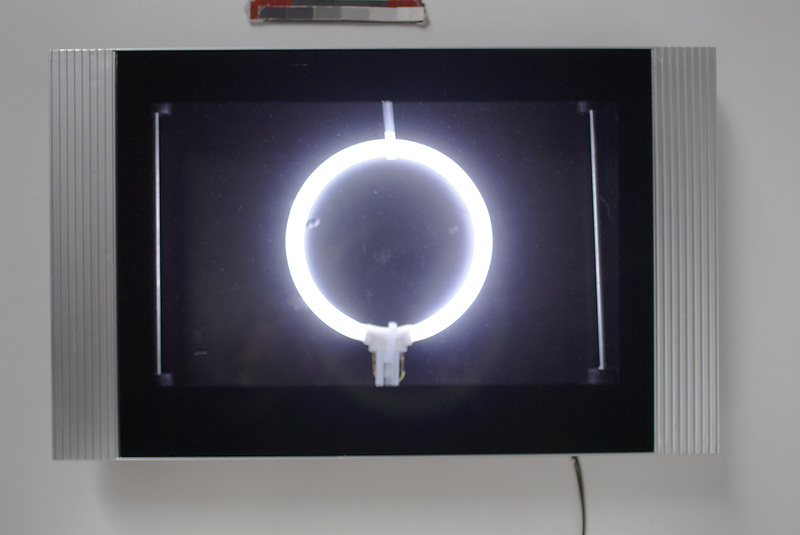 The fact that these lights were mass-produced in China references mass consumerism and lack of originality.